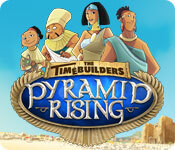 The Timebuilders: Pyramid Rising is rated 4.0 out of 5 by 22. Rated 5 out of 5 by ronvee from Best Time Management Game Yet! Very challenging, especially as the levels increase, will take a few try's at the higher levels, but it is very fun to play and addictive. 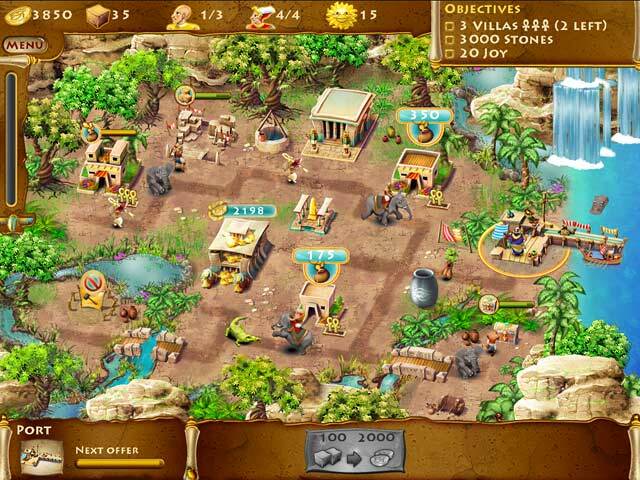 Rated 5 out of 5 by dinamom from Travel Back to Ancient Egypt This game has all the elements of a Time Management game, but it is based on one of the most amazing true stories of Ancient Egypt. During her 20-year reign, Pharaoh Hatshepsut...yes, a woman, ruled in place of her too-young nephew. You get to build palaces, pyramids and other misc. additions. You work with camels and elephants and are thwarted by thieves and crocodiles. It is pretty challenging to reach the ultimate "gold" status in each level, especially towards the end, but that gives you plenty of opportunity for replay. You can't go wrong with this game. (I am a bit bias because I love this time in history.) I loved all the elements; the story, the graphics, and the music is beyond beautiful (to me). Rated 5 out of 5 by lgdl05895 from Challenging The time given to complete for the Gold Award is very tight, but at least the game doesn't end if you can't make it and you can always go back and play again to improve later. There is a lot going on especially as you go through the later stages but there are lighter moments to make you laugh, good job as I personally found it challenging to get Gold level and had to play several times to make it. Don't normally play this type of game, got it on "The Daily Deal" so very happy with my purchase would have been happy at normal price as it does last & has a high re-play value as well. Rated 5 out of 5 by Pucktweety from Very, very fun! I have absolute bundles of fun when playing this game and I love to replay the levels multiple times. The brilliant thing about this game is that each level has several different ways of completing it successfully so you can replay each level a few days without re-tracing your steps. It also have some great graphics and isn't a a slow starter like some other games similar to this! Rated 5 out of 5 by sylsanfran from Lots of Fun! If you like "My Kingdom for a Princess", you will love this game. Lots of different things happening in each level and a whimsy factor that keeps the game interesting. Some much needed PR and damage control for Hatsepshut! Rated 5 out of 5 by MIRuruguaya from Lots of fun I loved this game! I was hooked to the very end. It was very challenging to make the gold prize for completing all the buildings and goals in certain amount of time. 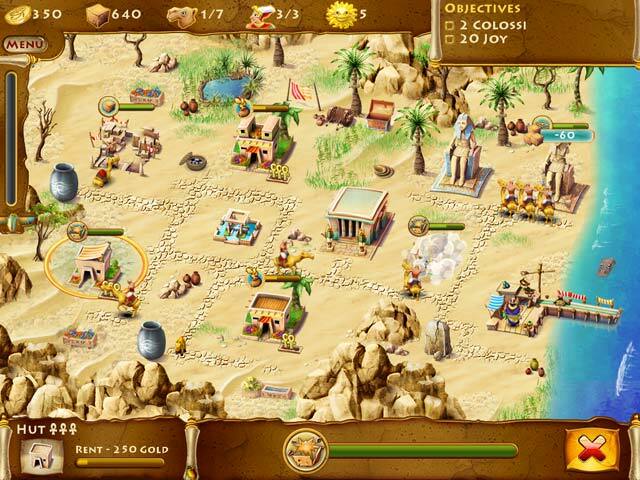 It took me several tries to get the golden prizes and be able to build my own Egyptian city. It was exciting and super entertaining. My favorite of all Big Fish Games!